As part of raising suicide awareness and helping those who feel overwhelmed by life’s challenges, the Lions have collaborated with a number of support groups to produce ‘Need To Talk?’ posters. They detail contact information for numerous organisations that offer guidance and support in total confidence. 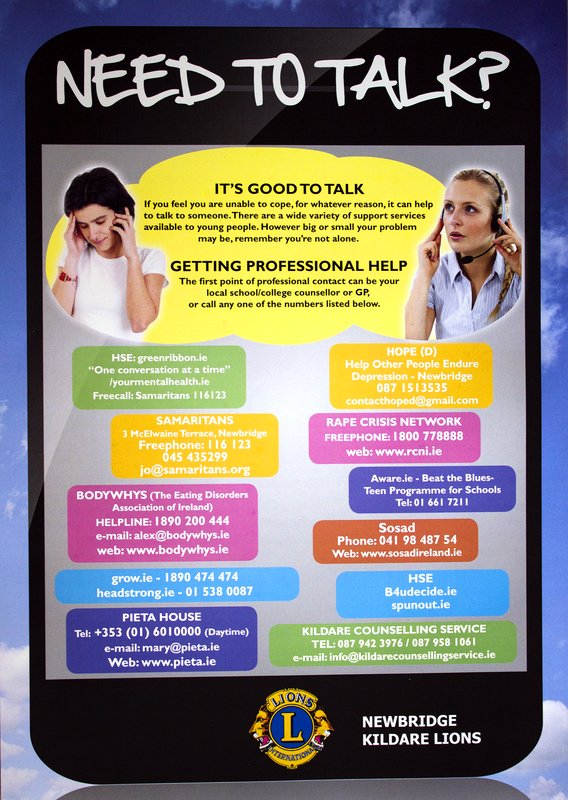 These posters are going up all around Newbride and Kildare to promote these essential services.